Probably the most contentious show in Dylan’s long history of live performance. The between-song “raps” were a fixture of Dylan’s performances during his “Christian” period, but early during the Slow Train Coming tour, Dylan and his band encountered the most hostile, skeptical audience of the tour in Tempe, Arizona on November 26th, 1979. An unique audio document of a fascinating period that people rarely discuss today. 1. Rutherford argued that Romans 13 indicates that all power is from God and that government is ordained and instituted by God. The state, however, is to be administered according to the principles of God’s Law. Acts of the state which contradicted God’s Law were illegitimate and acts of tyranny. Tyranny was defined as ruling without the sanction of God. 3. Rutherford presents several arguments to establish the right and duty of resistance to unlawful government. First, since tyranny is satanic, not to resist it is to resist God—to resist tyranny is to honor God. Second, since the ruler is granted power conditionally, it follows that the people have the power to withdraw their sanction if the proper conditions are not fulfilled. The civil magistrate is a “fiduciary figure”—that is, he holds his authority in trust for the people. Violation of the trust gives the people a legitimate base for resistance. It follows from Rutherford’s thesis that citizens have a moral obligation to resist unjust and tyrannical government. While we must always be subject to the office of the magistrate, we are not to be subject to the man in that office who commands that which is contrary the Bible. In Lex Rex he (Rutherford) does not propose armed revolution as an automatic solution. Instead, he sets forth the appropriate response to interference by the state in the liberties of the citizenry. Specifically, he stated that if the state deliberately is committed to destroying its ethical commitment to God then resistance is appropriate. In such an instance, for the private person, the individual, Rutherford suggested that there are three appropriate levels of resistance: First, he must defend himself by protest (in contemporary society this would most often be by legal action); second, he must flee if at all possible; and third, he may use force, if necessary, to defend himself. One should not employ force if he may save himself by flight; nor should one employ flight if he can save himself and defend himself by protest and the employment of constitutional means of redress. On the other hand, when the state commits illegitimate acts against a corporate body—such as a duly constituted state or local body, or even a church—then flight is often an impractical and unrealistic means of resistance. Therefore, with respect to a corporate group or community, there are two levels of resistance: remonstration (or protest) and then, if necessary, force employed in self-defense. Force, as used in this book, means compulsion or constraint exerted upon a person (or persons) or on an entity such as the state. When discussing force it is important to keep an axiom in mind: always before protest or force is used, we must work for reconstruction. In other words, we should attempt to correct and rebuild society before we advocate tearing it down or disrupting it. Third, legal and political action should be taken against hospitals and abortion clinics that perform abortions (perhaps including picketing). Fourth, the State must be made to feel the presence of the Christian community. This may include doing such things as sit-ins in legislatures and courts, including the Supreme Court, when other constitutional means fail…The bottom line is that at a certain point there is not only the right, but the duty, to disobey the state. This is scary. There are at least four reasons why. First, we must make definite that we are in no way talking about any kind of a theocracy. You think He’s just an errand boy to satisfy your wandering desires? You know who He is you know why He died? Episode #077: Artist Josiah McElheny discusses the relationship between artworks and the context in which they were created, highlighting the distinctions between history and the personal and interpretive reinvention of historical facts. Trying to show Big Bang which was discovered in 1965 and was on the cover of every newspaper and proved Einstin wrong!!!! Episode #013: Josiah McElheny discusses his film Conceptual Drawings for a Chandelier, 1965 (2005), shot at The Metropolitan Opera in New York. Josiah McElheny creates finely crafted, handmade glass objects that he combines with photographs, text, and museological displays to evoke notions of meaning and memory. McElheny’s work takes as its subject the history of Modernism and the impact it has made on society, aesthetics, and contemporary thought. Josiah McElheny is featured in the Season 3 (2005) episode “Memory” of the Art:21—Art in the Twenty-First Century television series on PBS. VIDEO | Producer: Wesley Miller & Nick Ravich. 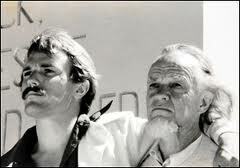 Camera & Sound: Nick Ravich. Editor: Jennifer Chiurco. Artwork courtesy: Josiah McElheny. Thanks: The Museum of Modern Art, New York. Talks about Francis Bacon’s paintings being both beautiful and horrible looking too. Episode #062: Artist Josiah McElheny discusses the intentionally problematic nature of beauty and seduction in his “Total Reflective Abstraction” (2004) installation, on view at Donald Young Gallery in Chicago, as well as works by fellow artists and architectural masterpieces such as Renaissance palaces. Josiah McElheny creates finely crafted, handmade glass objects that he combines with photographs, text, and museological displays to evoke notions of meaning and memory. McElhenys work takes as its subject the object, idea, and social nexus of glass. Influenced by the writings of Jorge Luis Borges, McElhenys work often takes the form of historical fictions. Part of McElhenys fascination with storytelling is that glassmaking is part of an oral tradition handed down generation to generation, artisan to artisan. Sculptural models of Modernist ideals, these totally reflective environments are both elegant seductions as well as parables of the vices of utopian aspirations. VIDEO | Producer: Wesley Miller and Nick Ravich. Interview: Susan Sollins. Camera & Sound: Kurt Branstetter, Joel Shapiro, and Tom Bergin. Editor: Jenny Chiurco. Artwork Courtesy: Josiah McElheny. Special Thanks: Donald Young Gallery, Chicago. Sculptor and writer Josiah McElheny transforms the Gallery into a hall of mirrors. Seven large-scale, mirrored sculptures are arranged as multiple reflective screens for displaying abstract films, selected by a group of invited collaborators and programmed to change throughout the year. The sculptures reflect and refract the projected film selection, saturating the whole gallery and visitors in images and light. Refracted, distorted and multiplied, the moving images explore how abstraction is used to depict an image of visual enlightenment. The Bloomberg Commission is displayed in Gallery 2, a dedicated space for site-specific works of art that was previously the reading room of the former Whitechapel Library. Inspired by the history of the Library as a creative haven for early modernist thinkers such as Isaac Rosenberg and Mark Gertler, McElheny’s new work explores the history of abstraction in film and video, reinterpreting them by presenting fractured, constantly morphing versions. Josiah McElheny (b. 1966) lives and works in New York. His work combines a conceptually rigorous examination of history with an ability to create deeply engaging sensory experiences. The artist depicks perfect spiritual worlds that will never be enacted. Episode #011: Josiah McElheny discusses his installation The Alpine Cathedral and the City-Crown (2007) at the Museum of Modern Art in New York. Josiah McElheny creates finely crafted, handmade glass objects that he combines with photographs, text, and museological displays to evoke notions of meaning and memory. McElheny’s work takes as its subject the object, idea, and social nexus of glass. Influenced by the writings of Jorge Luis Borges, McElheny’s work often takes the form of historical fictions. Josiah McElheny is featured in the Season 3 episode “Memory” of the Art21 series “Art in the Twenty-First Century”. « Vols will trail in 2nd half against Arkansas State this week!!!! 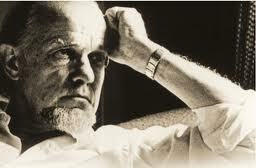 Its encouraging to see how much you share about Francis Schaeffer on your blog. Did you hear that this month one can get the audio book of “How Shall We then Live?” for free? I’ve posted something about it yesterday! I downloaded it today and I want to thank you for pointing that out to me. It is a great resource and that book alone is probably what inspired me to start this series FRANCIS SCHAEFFER ANALYZES ART AND CULTURE. It is amazing at how up to date his observations are even though he died over 30 years ago. 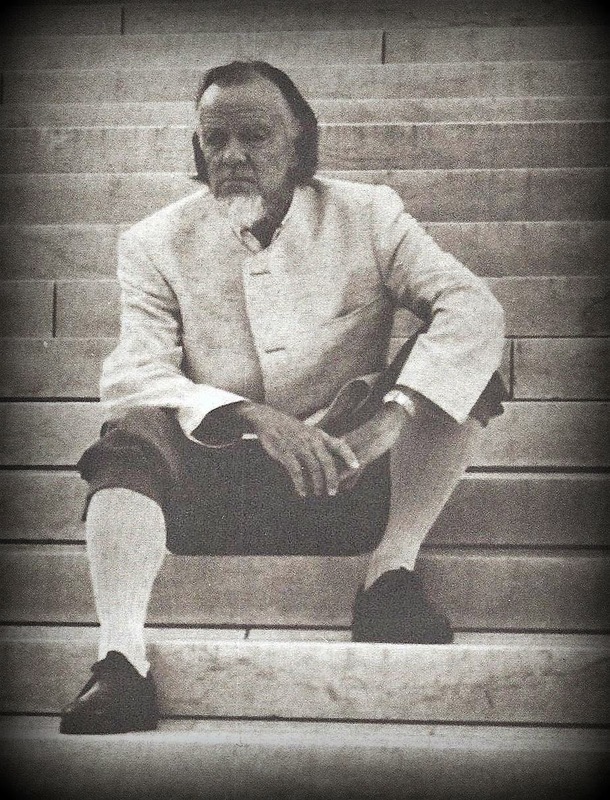 Your blog posts on Schaeffer have been very helpful to me and you also drew attention to the 30th Anniversary of Schaeffer’s passing with a post http://veritasdomain.wordpress.com/2014/07/02/lectures-download-celebrating-francis-schaeffer-30-years-anniversary/ . Keep up the good work and although we have never met, I do consider you a brother in the fight for righteous and a true friend.